Cell phone companies think bigger is better. Do you remember when our flip phones kept shrinking in size with every passing year? The smaller the better. Now the newest cell phone model is bigger than the year before. My husband and I recently got new cell phones. We each got different models, but both are bigger than the ones we replaced. In reality my new cell phone is only a few extra milometers but it felt like a huge change. I almost felt like my 3 year niece talking on my sister’s cell. Picture small kid hands trying to wrap around an adult size phone. What’s with the “bigger cell phone” movement? The better to see myself in for selfies? Will my next cell phone be the size of a tablet? Even the fellows from Zoolander are jumping on the bandwagon for bigger is better (which my husband totally called like six months ago). Be careful and try not to choke on all that powdered sugar. My husband and I have both accidentaly inhaled the stuff while munching on a cookie. I’ll take my chances with these beauts, but still… I’ve informed you thusly. Preheat the oven to 375 degrees F. Line a cookie sheet with parchment paper or a silicon mat and set it aside. In a large bowl, beat together the butter, 1/2 cup powdered sugar, cocoa powder and vanilla extract. Mix in the salt and gradually mix in the flour until the cookie dough comes together. Roll about 1 tablespoon of cookie dough onto the prepared cookie sheet. I used the OXO good grips small cookie scoop. 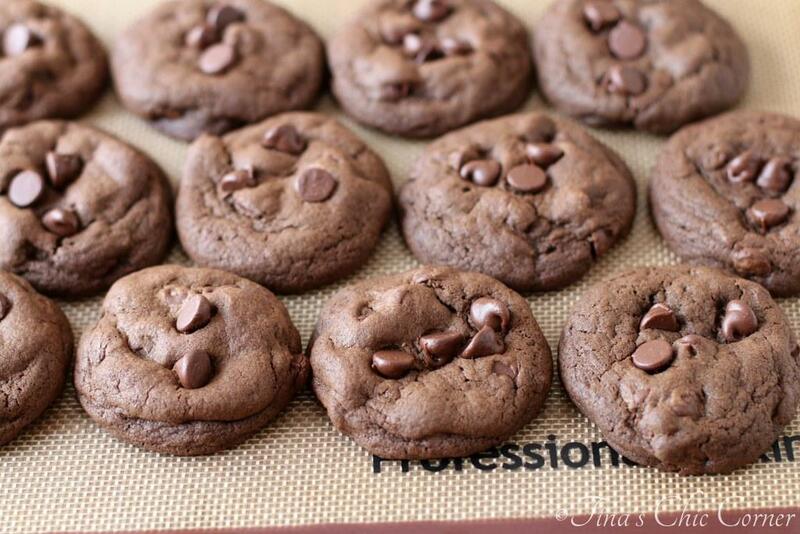 Bake the cookies for 7 to 10 minutes or until the tops are no longer glossy looking. 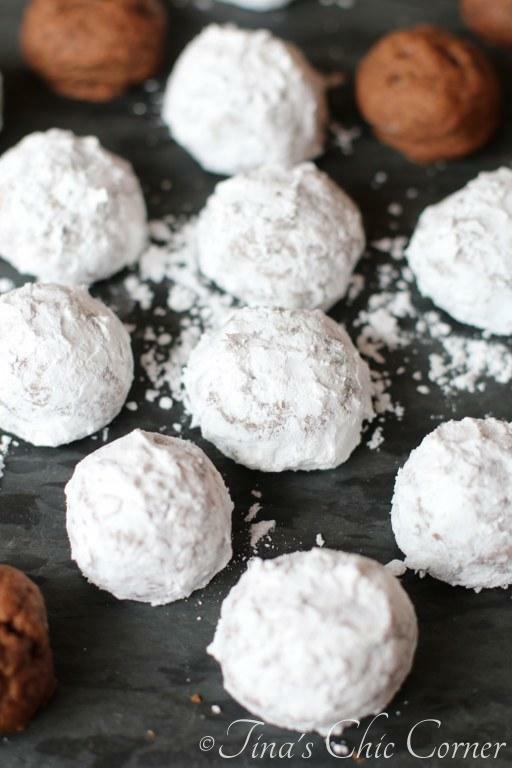 Fill a small bowl with the remaining powdered sugar and roll each cookie into the powdered sugar until it’s well coated. Note, if you’re going to freeze the cookies, do this step when you remove them from the freezer and are ready to serve. 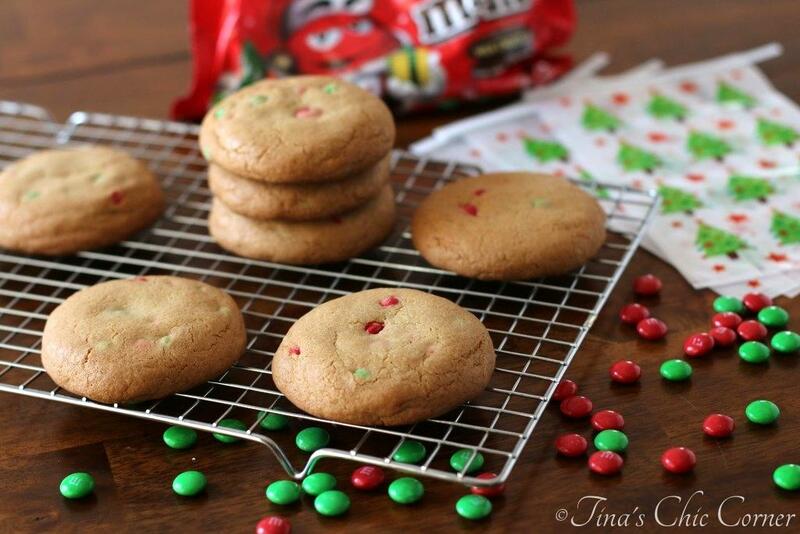 Here are some other cool cookie recipes. 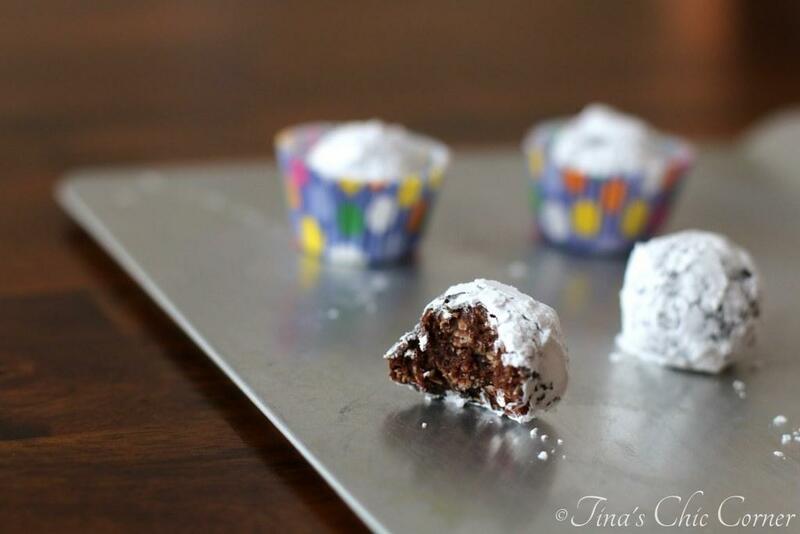 I’m already thinking about Christmas cookies- these look delicious- pinning!